The silly string tape was biased and should not have been allowed into evidence. 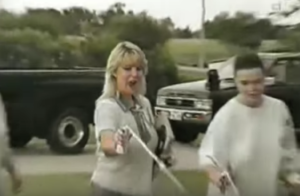 Anyone who has followed this case is well acquainted with “The Silly String Tape.” Eight days after Darlie’s sons were stabbed to death, and Darlie herself allegedly attacked, she held a birthday party for Devon at the gravesite. It would have been his 7th birthday. There were balloons, gifts, Silly String, and even an airplane overhead, towing a happy birthday banner. The family invited Joe Munoz of KXAS Channel 5 to record the festivities. The tape shows a smiling, laughing Darlie, spraying Silly String on her sons’ graves. Darin appears withdrawn or depressed. His hands are in his pockets, his head down. He takes a step backward, as if embarrassed, when Darlie begins to shoot the Silly String. The Routiers have either defended her behavior as a tribute to her dead boys, or claimed that she put on a happy face so as not to upset the young children at the party. Darlie’s supporters claim that this tape was so prejudicial that it should never have been shown to the jurors. However, it’s important to note that the defense had their own tape, one which purportedly showed a grieving Darlie at her boys’ prayer service earlier that day. For reasons known only to them, Darlie’s team chose not to show that tape. There was another incident, eerily similar to the silly string party, that many people aren’t even aware of. That incident occurred on the morning of June 18th at the Routier home. Nelda Watts, a retired school teacher, and her husband had lived in the house directly across the street from the Routiers. Mrs. Watts testified during the sentencing phase of the trial. Watts: There were many funeral wreaths, there were stuffed animals, flags, signs that people had placed around the fountain [in the Routier’s front yard]. Shook: Okay. 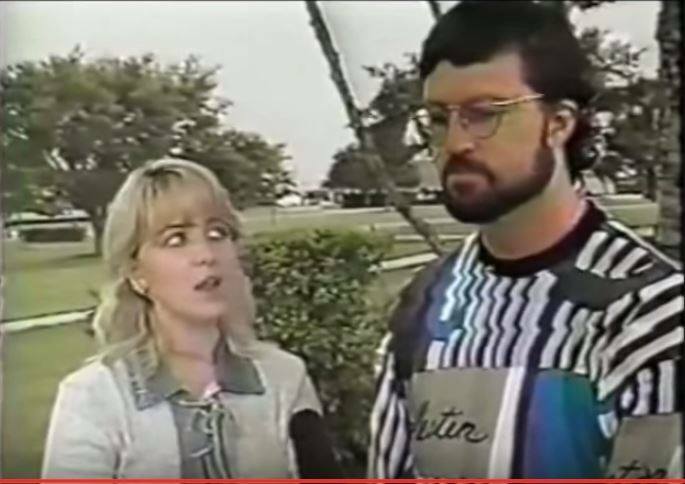 And as you looked out there, what were Darin and Darlie Routier doing? Watts: Darin would take a stuffed animal off of one of the wreaths and toss it over to Darlie and she would jump up and catch it, and then she would toss it back to him and he would chuck it toward the vehicle. The back end of the vehicle was open, and if he threw it in, she would jump up and cheer. Watts: Either catch it, or if she didn’t catch it, she would pick it up and toss it back to him. Later in the sentencing phase, Darin claimed it was Darlie’s sister, Dana, with him that morning, not Darlie. That is a lie. Dana was only 16 at the time, ten years younger than Darlie. Dana’s hair was dark brown; Darlie’s was platinum blond, so mistaking one for the other was highly unlikely. Mrs. Watts knew exactly what Darlie looked like. She had lived across the street from the Routiers for three years. It is irrelevant how you, or I, or the jurors felt about Darlie’s behavior at the birthday party. The question is, did the prosecution have the legal right to show that video? The answer is yes, they did, just as the defense had a legal right to present their own character evidence, had they chosen to do so. This type of evidence is allowed into trials all the time, because a defendant’s behavior may certainly be relevant when it is factored into the other evidence. Perhaps the silly string party and the lively game of catch, complete with laughter and cheering, were simply a celebration of the boys’ lives, as Darlie maintains. On the other hand, there are people who will always be disturbed by her actions, just days after her sons were brutally murdered. Although it is difficult in the immediate aftermath of a tragedy to judge how someone should react, there are certain behaviors that are clearly unusual. Moving on too quickly is one of them.